If you've been watching my vlogtober series you know this is a relatively new addition to my lipstick collection. I adore it. As soon as I first tried this lipstick I bought it in two more colours! This red is what I would call a wearable and relaxed everyday red, it doesn't smudge all over the face, it feels like chapstick and its really easy to reapply. 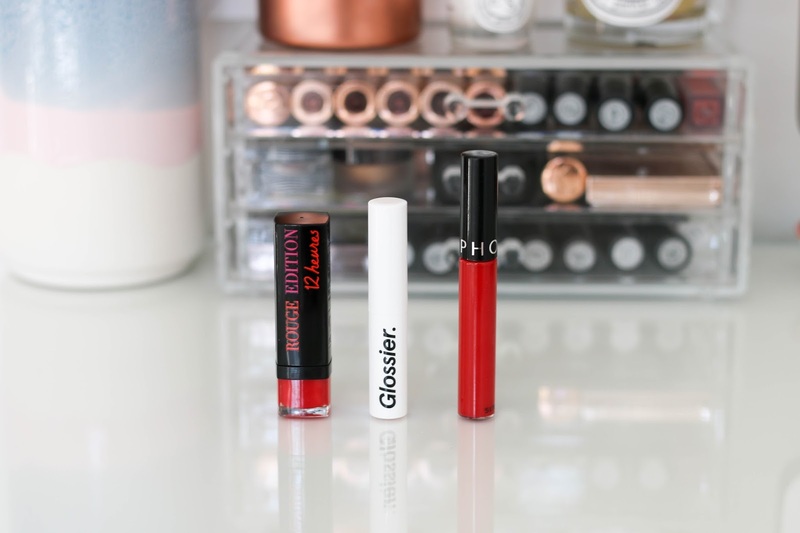 It was a bold move getting my first Glossier lip in a bold colour but one that certainly paid off. 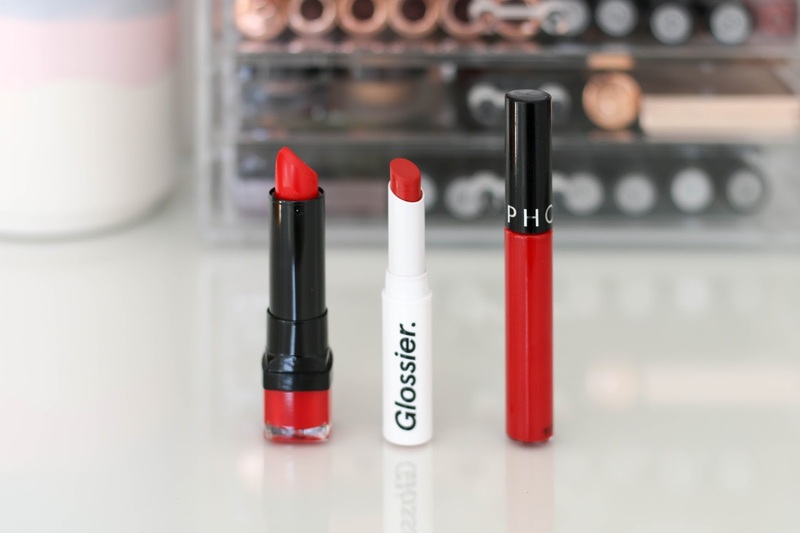 If you want cool french girl vibes, this is the red lip for you my gal. I purchased this lipstick this time last year when The Anna Edit did a cracking ad with Bourjois and after seeing it on her I had to buy it! Its a really beautiful neutral red, in that it doesn't have too much blue and doesn't have too much orange in it. Its he perfect red tone. I also love the feel of it, it looks relatively matte but it feels very balmy and comfortable to wear. These particular rouge editions are supposed to last a 12 hour wear, and I wouldn't say they fully make the 12 hours, especially if you snack as much as I do, but they do last a long old while on the lips which is fab! I am never complimented as much on my lipstick as I am when I wear Always Red. I am sorry for you UK gals reading this as it is harder to get but it is truly worth it. This is a long lasting, 40's film star kind of a red lip. This bad boy goes on and stays put for as long as you want it. I have worn it from 6am to 9pm before with no reapplications and it still looks amazing. It's not super drying for a liquid lip either which is another reason why I reach for it as often as I do.